In the midst of the lead up to next year’s Beijing Olympics and a power struggle in the Chinese Communist Party, a January raid on an alleged terrorist training camp in Xinjiang killed 18 terrorist suspects and one policeman. Seventeen more suspects were reported captured. Twenty-two homemade ‘hand grenades’ were seized, along with material for another 1,500. The raid was also said to have provided new evidence of ties between the East Turkistan Islamic Movement (ETIM) and ‘international terrorist forces.’ The raid marks the latest clash between Muslim Uyghur separatists and Chinese security services suppressing opposition to regional Sinification. The Uyghur separatist movement is badly divided, with dozens of groups with different agendas claiming to represent the interests of the Uyghurs, a Turkic people. Some groups renounce violence as a political tactic while others embrace it. Until recently the Uyghurs were the majority in the Central Asian region they call East Turkistan (known to the Chinese as Xinjiang, or ‘New Territory’), but a massive and continuing migration of Han Chinese into the region has left the Uyghurs with only 45% of the population of 18 million. The ‘counter-terrorist’ raid occurred in the remote Akto County on the Pamir Plateau, close to the Chinese-Kyrgyz border. 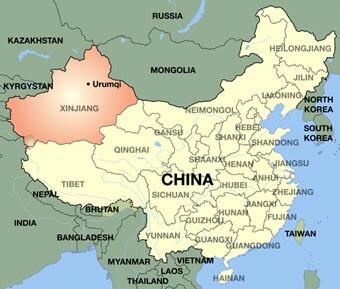 After the raid, Chinese security forces tightened their control of the borders with both Kyrgyzstan and Tajikistan. 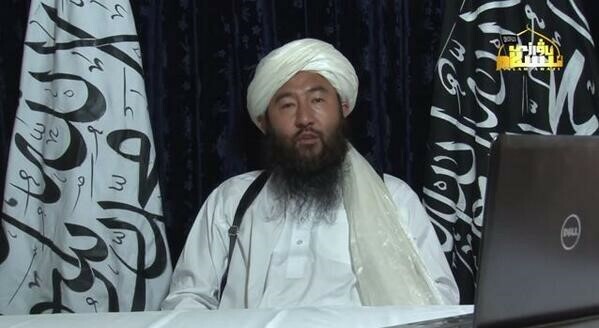 China’s official press suggested that al-Qaeda had helped the ETIM ‘infiltrate’ the region, though it did not say why the Uyghurs needed such aid in their own territory. In 1990, Akto County was the site of a bloody uprising led by Uyghur militant Zahideen Yusuf, killed in the fighting along with fifty others. Most Uyghurs are members of Islamic Sufi orders and lack the interest in Salafist Islam that is a prerequisite for involvement with al-Qaeda. There are few examples of Sufis cooperating with al-Qaeda; indeed, their form of worship is attacked by Bin Laden and his associates as a type of heresy that must be exterminated. Though some Uyghurs sought military training from the Taliban in the 1990s it appears that they did so in order to mount separatist operations in Xinjiang rather than join Bin Laden’s anti-American jihad. Some Uyghurs may even have received training from Pakistan’s Inter-Services Intelligence (ISI). The ETIM is one of the most obscure of the Uyghur militant groups, barely known even to other Uyghur activists. According to a Chinese government report released in 2002, ETIM members received training in camps run by al-Qaeda or the Islamic Movement of Uzbekistan (IMU) throughout Afghanistan prior to the 9/11 attacks. 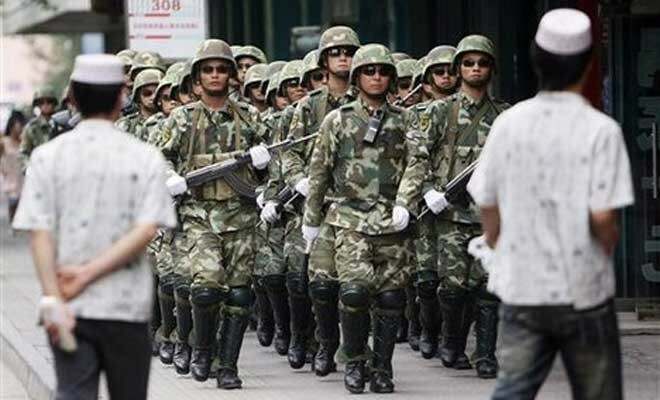 The report almost certainly exaggerated the size of the ETIM, claiming it commanded a formation known as the ‘Turkistan Army’ that included a “China Battalion of 320 terrorists from Xinjiang. This was just one of a number of large-scale Uyghur ‘terrorist’ formations China claimed were active in Afghanistan, including some whose existence is dubious, such as the 1,000 strong ‘Central Asian Uyghur Hezbollah’. 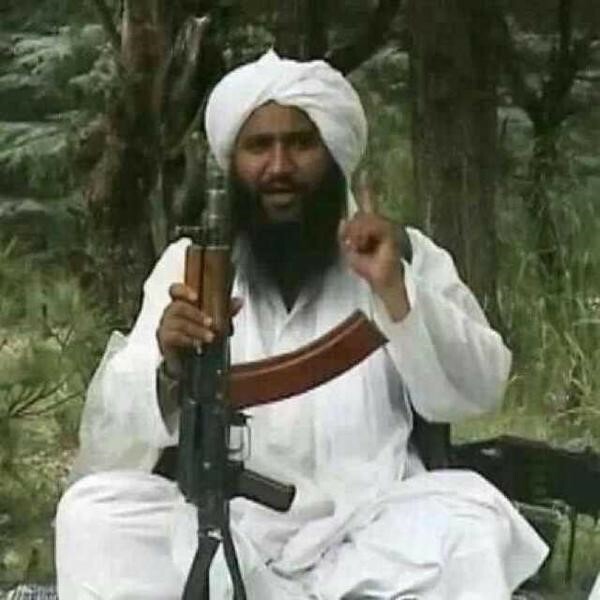 The same report alleged that Hasan Mahsum met with Osama bin Laden in 1999 and obtained al-Qaeda financing for the ETIM, though its leader, Hasan Mahsum, denied any such connections. There has been little ETIM activity since the death of Mahsum at the hands of the Pakistani army in October 2003. While some Uyghurs fought alongside the Taliban or the late Juma Namangani’s Afghanistan-based IMU, others joined the Chechen mujahidin during the early years of the second Russian/Chechen war that began in 1999. The total number of Uyghurs active in various foreign-based jihadist groups in 2001 was probably not more than several hundred, with a significant decline in numbers since. It is important to note that the jihadist/Islamist component of the Uyghur separatist movement comprises only a fraction of a political trend that has widely varied aims and methods. In August 2002, the United States designated the ETIM as a terrorist organization after pressure from China. The announcement followed a pledge by China to restrict missile technology transfers to countries like Iran, and preceded a visit by the Chinese President to the United States. The United Nations also put the ETIM on its terrorist list a month later. China lists four Uyghur organizations as ‘terrorist groups’, though the ETIM is the only one to have this designation internationally. Two months before the raid in Akto County, a 32-minute video was released through the al-Fajr Information Centre inciting the people of ‘East Turkistan’ to take up jihad against the ‘infidel’ Chinese communists. The video portrays Uyghur ‘mujahidin’ training with firearms, possibly in Afghanistan. Beijing has raised the specter of Uyghur terrorist attacks on the 2008 Olympics, though overplaying this hand as a means of stifling separatist opposition in Xinjiang could have the effect of scaring away tourists. Police in Beijing are preparing to work with foreign intelligence services to prevent terrorist attacks at the games. The maturation of the transnational Shanghai Cooperation Organization (SCO) has made it extremely difficult for Uyghur militants to operate from neighboring Central Asian countries. The SCO (consisting of China, Russia, Kazakhstan, Kyrgyzstan, Uzbekistan and Tajikistan) has introduced new intelligence-sharing and cooperative counter-terrorism measures. China’s economic expansion has largely defused the threat of separatist militancy by integrating its Central Asian neighbors into its economic and security planning, thus eliminating the cross-border bases essential to most successful resistance movements. Pan-Turkism enjoyed a brief popularity in Turkic states and regions in the early 1990s, but has since recoiled in the face of twenty-first century political realities. Pan-Islamic sentiment survives in Xinjiang, but is not the dominant force behind Uyghur separatism. Unemployment, religious repression, assimilation pressures and the activities of the Communist Party of China are more potent recruiting forces for Islamic militants in Xinjiang than any call for a Central Asian caliphate. 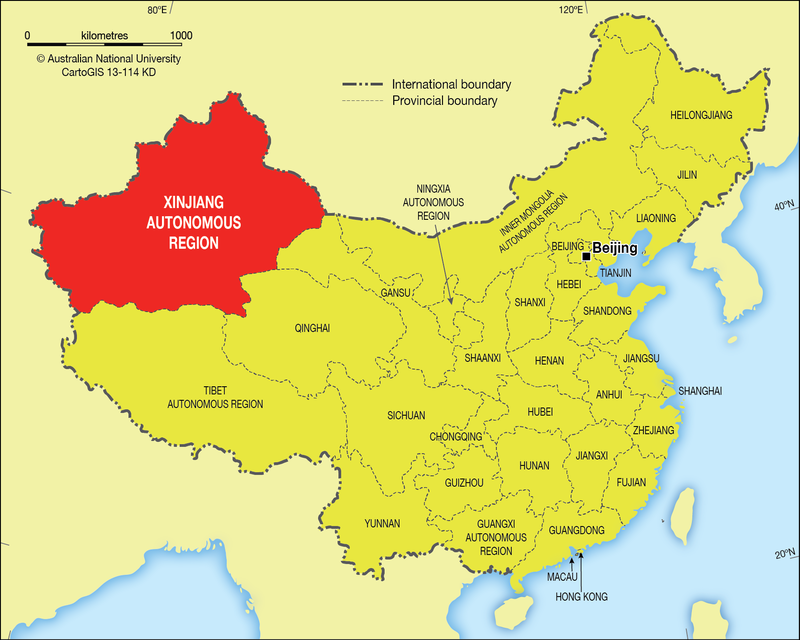 Compared to the regional government (which includes nominally Muslim Uyghurs), the Communist Party in Xinjiang is politically stronger, exclusively atheist and dominated by Han Chinese. Hu Jintao, China’s President and Chairman of the Chinese Communist Party, has been promoting Party leaders from northwest China (including Tibet and Xinjiang) to important positions in the Beijing government over the last year, much to the displeasure of the traditional East-coast power base of the party. This has caused a rift in the party, and the attack by the Xinjiang police services will cast doubt on Hu’s boasts that he has pacified the region at a time when he is under pressure to give up his post as President to Chinese VP Zeng Qinghong. Many Uyghurs seek U.S. support and attempt to present Xinjiang as a kind of Muslim Tibet. This effort has been hurt in the past by incidents like that of May 2002, when two ETIM members in Kyrgyzstan were arrested for plotting an attack on the U.S. embassy in Bishkek and deported to China. In April 2004, FBI director Robert Mueller suggested that there were militants in China who advocated terrorism, “whether you would call it Al-Qaeda or a group loosely affiliated with Al-Qaeda and Al-Qaeda’s leadership. CONCLUSIONS: The timing of the police strike is puzzling, as it emphasizes an al-Qaeda/Uyghur terrorist threat at a time when violence and separatist sentiment in Xinjiang is in decline. China has repeatedly demonstrated its ruthlessness in repressing local militants, a lesson understood by many young Uyghurs who see integration into the dominant Chinese culture as the only path to success. Beijing is counting on economic development and Han migration to eventually take care of Xinjiang’s separatist troubles. Was a raid on an illegal mining operation transformed into an anti-terrorist operation for political reasons? 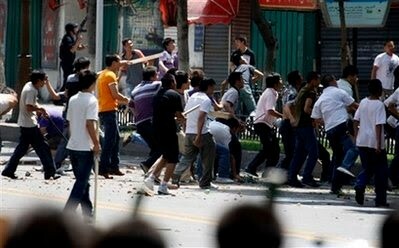 Chinese security forces have not offered a description of the assault itself. Illegal mining operations are common in China and explosives are commonly used in mining activities. The high death total of the raid nevertheless functions as a reminder to Xinjiang’s Uyghurs that separatist activities of any type will not be tolerated as the Beijing Olympics approach. As the world turns its focus onto China in an unprecedented way, the Communist Party is determined to manage its public image down to the finest detail.